Guinness Nigeria Plc. has notified the Nigerian Stock Exchange (NSE) and the investing public of changes in its board following the resignation of Ronald Plumridge as executive director. In to the NSE last Friday, Guinness said it has approved the appointment of Stanley Njoroge as a replacement to Plumridge effective March 1, 2018. Njoroge is a certified public accountant and member of the Institute of Certified Accountants of Kenya (ICPAK). He is an alumnus of both the University of Nairobi and Strathmore University in Nairobi Kenya. 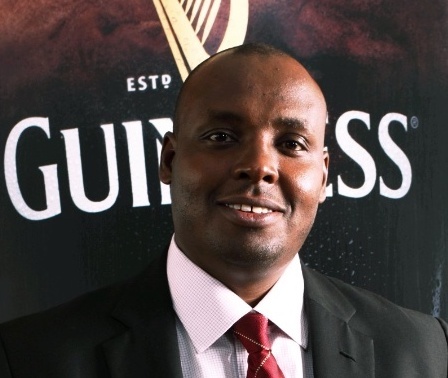 Within the Diageo family, he has held a number of key finance leadership roles across Asia and Africa including financial controller of EABI; finance director of PT Gitaswara Indonesia and finance director of Meta Abo Brewery SC/ Diageo Ethiopia. In his most recent role as the Diageo global audit and risk director, Africa and Europe, he was responsible for providing assurance to the audit committee of Diageo Plc’s board of directors on the management of risks across Diageo businesses in Africa (Nigeria, East Africa, South Africa, and Africa regional markets) and Europe.